One of the nice things about living in Orlando is there are so many ways to enjoy holidays like the 4th of July. But did you know some of the Disney resorts also participate? 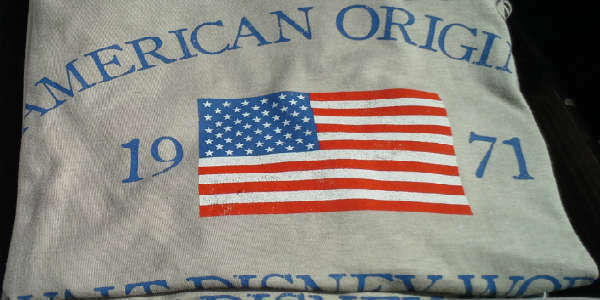 Out at Downtown Disney to see movies on July 3, my friend and I decided to take the water shuttle over to Disney’s Port Orleans – Riverside resort and got there just as they were setting up for a 4th of July celebration in the lobby courtyard. It was actually a fun little event, and completely free. Different sections of the resorts staff each had tables with free games to win little prizes like beaded necklaces, patriotic rubber ducks, and fans. 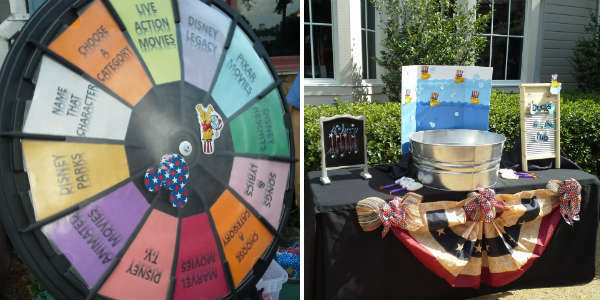 We aced the Trivia Wheel – thankfully our questions were about Marvel and the Disney Parks, and not the Disney Channel. There were also character meet-and-greets with Minnie Mouse and Pluto decked out in their 4th of July finest. Lines were not very long to meet them, and the kids in attendance seemed to really enjoy interacting with the characters. 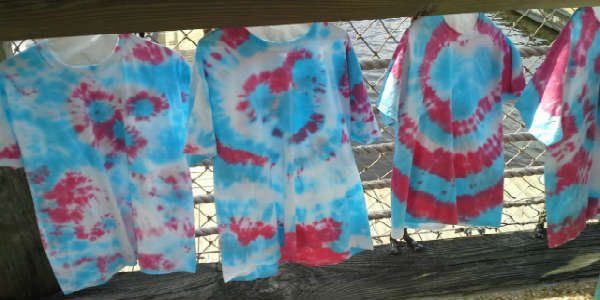 You could even tie-dye a shirt with a hidden Mickey and take it home for only $17. The kids loved this one. A live band also performed while families played and took photos. It was a nice low-key celebration, and one I’ll make note of for next year.